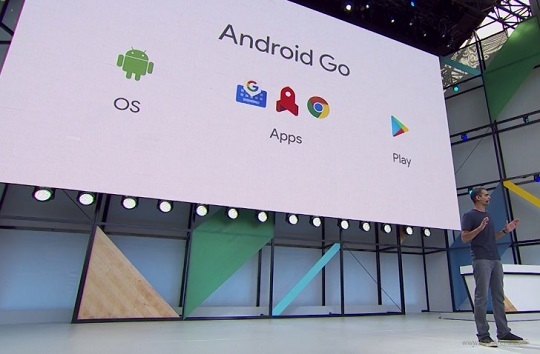 Inspired by the YouTube Go app, Google has unveiled the latest Android Go operating system at its recently concluded annual I/O developer conference held in San Francisco, California. So what exactly is Android Go? According to Google, this new configuration is a lightweight version of the upcoming Android O OS that works on devices that have lesser hardware as well as users with limited network connectivity and multilingual capabilities. Android Go can run on phones with slow chipsets and have only 1GB of RAM or as low as 512MB memory. The Play Store will highlight apps that are less than 10MB so they can run on these budget phones even when not connected to the Internet. There will be data management in Quick Settings and an API for carriers so you'll know exactly how much data you have left in your plan. A Data Saver feature will also be on by default so that you can load more pages on Chrome with minimal data consumption. In addition, YouTube Go will be an optimized version of the YouTube app. A new preview feature that was previously only available to YouTube Red subscribers in the US will be made available to Android Go devices that are set to be released in several developing countries so that users can have a glimpse of the video and select the quality even before loading it. Google hasn't announced its hardware partner yet, but the first Android Go devices are said to arrive in 2018.